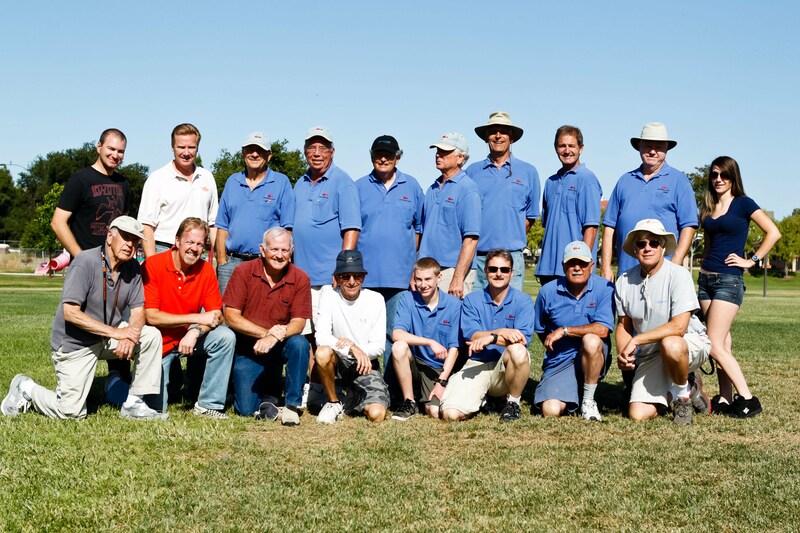 The Conejo Quiet Flyers (Academy of Model Aeronautics club number 4797) was founded in 2008 to provide an easy way for pilots of electric remote-controlled aircraft (RC aircraft) to get together and enjoy flying. Club members meet daily (weather permitting) to fly, compare notes, and sometimes even repair planes. We meet and fly at various parks in and around Thousand Oaks, California. 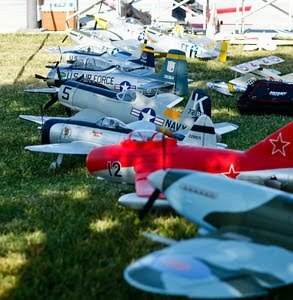 Aircraft range from sub-ounce micro planes up to two-pound warbirds. Balsa and foam, homebuilt and ready to fly, all are welcome. The only aircraft restrictions are that they be electric, under 2 pounds, and under 60 mph. If you are at all curious about RC flight, come on by--visitors are always welcome! Most mornings we have a wide variety of aircraft at the field both on the ground and in the air. Usually we have enough pilots and equipment to set you up with an experienced pilot and a buddy box so you can safely try your hand at flying. These days electric RC aircraft are powerful and relatively inexpensive. Many potential pilots purchase a good-looking plane and take it out to the local park to give it a try. Unfortunately, this almost always results in a broken plane and a discouraged owner. A club can make all the difference! From plane selection to setup to pilot training to repair, having club members help takes the stress out and leaves only the enjoyment. Rancho Conejo Playfields reopened The Rancho Conejo Playfields (off Ventu) have been reopened after five weeks of grass renovation. Our regular flying schedule is back in force. Wildflower Playfield reopened after grass restoration The Wildflower Playfield has reopened. It had been fenced off in mid-June for grass restoration.